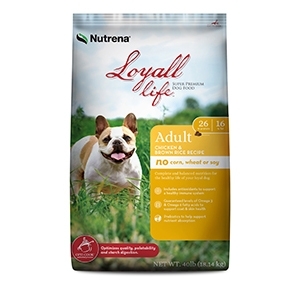 Complete and balanced nutrition for the healthy life of your loyal dog. Loyall Life Adult Chicken and Rice Recipe is complete and balanced nutrition and includes Vitamins E & C antioxidants, plus superfood ingredients such as carrots, beets and spinach, to help support a healthy immune system. After all, being a companion dog takes a lot of energy! Available in 20lb and 40lb bag.